Our eye health is an essential aspect of the body’s overall health. Obtaining an annual eye exam is a great way to keep track of your vision needs and other health-related issues. So if you are looking to schedule an eye exam in the Oakville area, for you or your child, then consider contacting us here at Invision Optical to receive professional and extensive care. To learn more about our services, and why you should get an eye exam, please continue to read below. At Invision Optical, your eyes will be examined both internally and externally with meticulous care, accuracy and professionalism by one of our highly Specialized Eye Doctors. This will enable an assessment to be made of the general health of your eyes and overall vision, and identify any other underlying medical problems that you may have. Our optometrists are able to accurately diagnose conditions that affect vision such as nearsightedness and farsightedness and prescribe glasses, contact lenses and other devices that can help improve your sight. You won’t have to leave our facility to obtain high-quality, designer brand frames and glasses, as we are well stocked to provide you with the best products in the industry. 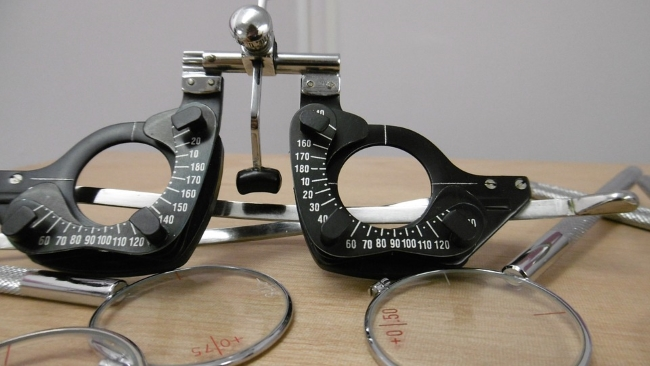 We also offer adjustment services, as our opticians can adjust your glasses that don’t fit on location and with the quickest turnaround time in the area. Myopia, also known as nearsightedness, is developing in children at a faster rate than ever before, and at a younger age than previous generations. Children who become nearsighted earlier in life are more susceptible to further vision degeneration throughout their life. This places them at higher risk of developing severe and potentially sight-threatening eye conditions, such as cataracts, glaucoma, and retinal detachment. Having our skilled optometrists at Invision Optical perform an eye exam on your child is the best way to assess their risk of developing myopia. Early detection is paramount to slowing the progression of nearsightedness and reducing the risk for further development of severe eye problems further down the line. Our team of professionals continues to accept new patients and provide comprehensive, personal and up to date eye care to patients of all ages. To schedule an eye exam with one of our knowledgeable and skilled Oakville optometrists at Invision Optical, all you have to do is contact us online or by phone. Please click here to find our contact information to book an appointment today. We look forward to helping you with all of your vision-related needs.